The article touches upon the issue of How to Treat Koi Fish Disease. When you own a koi, it is always a probability that the koi fish could catch diseases and need some treatment for it. An infected koi might be a deadly catalyst to the other koi fish that are not yet infected. Diseases could spread easily if not attended to quickly. 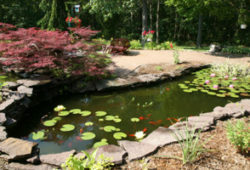 One of the easiest methods, in treating a diseased koi fish, is to add chemicals to the pond. If there is an open wound, a tropical treatment under anesthesia may be sufficient. For some systemic bacterial infections, it may be essential to administer the correct antibiotic by injection. Consider carefully the symptoms and do a water pH test before administering any medication. There are cases where symptoms displayed by koi in poor water conditions can be similar to those of many kinds of diseases. It is important not to overlook the effects of chemicals on the biological filter system when deciding on a form of treatment. 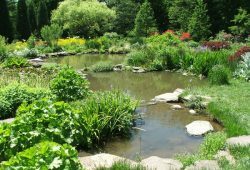 Putting medication in the pond will treat the entire population of fish whether they require it or not. The biological filter may also be damaged, resulting in a large rise of ammonia levels, depending on the chemical being administered. Thus it is advisable that you do not feed the fish while the treatment is in the water. Also, carry out the pH water test and change the water as deemed necessary. Because many chemicals can cause deoxygenating of the water, it is important to consider some additional aeration. For example, there is a free swimming parasite that needs to be killed for this kind of therapy may be useful. A second or third treatment may be necessary and may be administered a few days apart to guarantee that successive hatches are caught. A dip is administered to a fish by placing it in a small bowl containing the necessary chemical treatment for short period of time. This treatment may be the only way to deal with a new koi harboring a parasite problem, before placing it back in the pond. A disease carrier koi fish may harm the entire population of koi fish in the pond. If it’s possible for you to determine a diseased fish, it is always a good idea to have your isolation box available to quarantine the infected fish and do a separate treatment for it. The isolation box/a separate aquarium/a fish bowl could be used for isolating the infected koi fish. Be sure to clean and disinfect the box to prevent further damage to the fish. Apply the chemicals or do any necessary treatment needed to treat the koi fish. Always oxygenate the water so that the fish will be comfortable. Do not feed the fish during the treatment. Never return the fish to the pond unless you are sure that the disease is gone. After isolating the infected fish, make sure to do treatment to the pond just to be sure. Observe any fish that shows the symptoms of the diseased fish and do proper treatment. The sooner you isolate the fish the better, in order to prevent the spread of the infection.